Do I Need Sports Drinks? If you’re running for less than an hour, then water is just fine. But for longer sessions – or a marathon – you should consume some kind of carbohydrate-based sports drink, says Dr. Jordan Metzl, a marathoner, endurance athlete and sports medicine doctor at the Hospital for Special Surgery in New York. “After an hour you start depleting muscle glycogen stores to the point where it becomes difficult to keep the level of energy expenditure,” he says. That being said, you should also be careful not to overdo it on sports drinks. A little goes a long way. “If you just drink sports drinks, you’ll be taking in a lot of sugar and your stomach won’t be able to handle it, said Dr. Laura Goldberg, a sports medicine expert from The Cleveland Clinic. 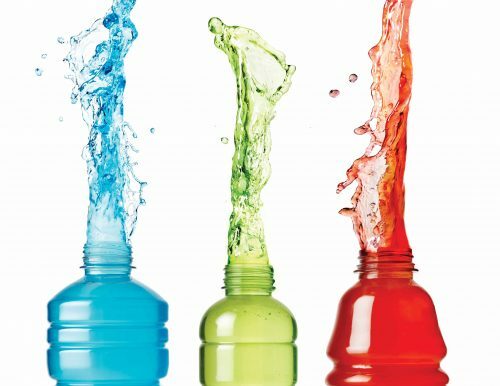 Dr. Metzl said he prefers sports drinks with higher levels of sodium because they help to prevent muscle cramping, especially on hot and humid days. His go-to in that category is “Gatorade Endurance,” which has double the sodium (300 milligrams) and triple the potassium (140 milligrams) of original Gatorade. “I’m increasingly a fan of the double-sodium sports drinks,” Dr. Metzl said. Be sure to stay hydrated on your runs this week. And there is some good news you should keep in mind as you head out for a run this month – training in the heat will help you perform better once it’s cooler. Don’t forget to check out our top tips to stay cool during your Summer workout too.